We are also consuming less protein-rich foods. What are the gulfs in our diet? The doctor's words will always ring in your ears: eat more protein-rich foods. But this timeless advice may be hard to implement if the latest report of the National Institute of Nutrition (NIN), Hyderabad, is to be believed. The levels of protein in Indian foods, both vegetarian and non-vegetarian, are declining rapidly. For instance, between 1993-94 and 2011-12, protein levels in beans dropped around 60 per cent; in brown lentil (whole), it went down by 10 per cent; and, in goat meat, it has come down by 5 per cent. Protein is a vital macronutrient needed to cope with the wear and tear of the body, in making enzymes and hormones. It is the building block of bones, muscles, cartilage, skin and blood. The deficiency of protein can manifest itself in many ways—sluggishness, slow recovery from injuries and brain fog (lack of focus). If not addressed, this deficiency can lead to nutritional diseases in children like Kwashiorkor and Marasmus. According to a recent report of the National Sample Survey Office (NSSO), rural households were consuming 56.5 g in 2011-12, down from 60.2g in 1993-94, while urban households were consuming 55.7g, down from 57.2g in 1993-94. In contrast, the national daily intake of protein in Japan was 69.1g in 2015; the figures for USA are even higher. 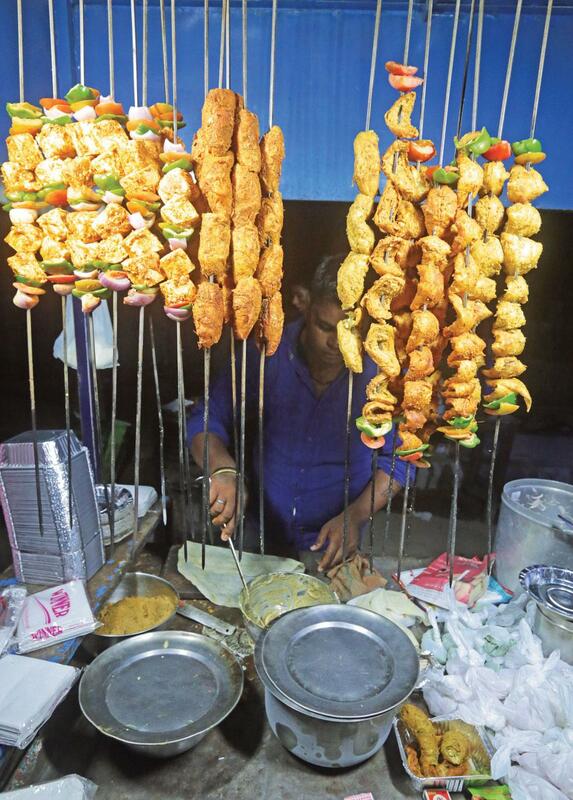 Anura Kurpad, head of physiology and nutrition department at St John’s Research Institute, Bengaluru, says that even the amount of protein consumed by most Indians is not of high quality. Even the NSSO data showed that a major share of the total protein intake in both rural and urban India was from cereals, which are not the best source of protein. Seema Gulati, head, Nutrition Research Group Center for Nutrition & Metabolic Research sheds light. “Our diet is not very meat-intensive. Even those who are non vegetarians, on an average, eat it only on a weekly basis,” she says. NSSO says that egg, fish and meat make up for just seven per cent of protein intake in rural households and nine per cent in urban counterparts. Shashank Joshi, a medical researcher and diabetologist, offers another explanation: “Proteins, both visible and invisible, are deficient in both urban and rural Indians because we are a cereal-based economy. We eat wheat or rice. We don’t consume as much millets and pulses. Worse, we polish grains and destroy whole grains with modern methods,” he says. He conducted a study in 2014 and found that dietary patterns among Indians tilted towards carbohydrate intake much more than protein. Joshi’s insight is supported by NSSO data. In rural and urban households, cereals account for 58 per cent and 49 per cent of total protein intake respectively. While pulses are viewed as the main source of protein in a vegetarian diet, it’s not as simple as eating more pulses. Veena Shatrugna, former deputy director of NIN, says the intake of pulses has gone down with rising prices. “The saddest thing about daal is that it is one of the poorest sources of protein, unless you eat a certain ratio of daal to rice—for instance one to four at every meal,” she adds. Gulati says the quality of a food source’s protein is determined by the number of amino acids it has. "Protein from animal food products has higher number of amino acids, and therefore, it is better than plant proteins," she says, adding that to get the same kind of protein from plant-based foods, the diversity of food must be widened. However, not everyone can afford meat products and many more do not eat meat. So how can vegetarians improve their protein intake? "Millets are high quality food. It has much more protein, much more iron and micronutrients. Why doesn't the government add it to the Public Distribution System (PDS)?" asks Prasad. “There are other cheap sources of protein. There is chana (gram). It is not very difficult to afford. Soybean is also a good source of protein," says nutritionist and founder of IDK Healthcare, Ishi Khosla. Mixing nutrients from different sources is important to have a balanced diet, she adds. There are also external factors for declining levels of protein in food. Experts say intensification of agriculture has impacted soil health. Large parts of agricultural soil in India are deficient in zinc, boron and iron, according to a study by the Indian Institute of Soil Science, Bhopal. Moreover, studies have shown that climate change can affect plant nutrition levels, reducing their protein, zinc and iron content. NSSO’s household consumer expenditure on food items provides another insight into protein deficiency. In urban areas, beverages, refreshments and processed foods account for the highest monthly expenditure (Rs 236), while the same position is occupied by cereals (Rs 154) in rural households. “In a vegetarian diet, different kinds of pulses in different forms like sprouts, daal, must be consumed, and this must be supplemented by nuts and milk products,” adds Gulati. “Expenditure on processed food should be curtailed. That’s a big chunk of the expenses,” says Dipa Sinha, assistant professor of economics at the School of Liberal Studies, Ambedkar University, New Delhi. She adds that the PDS needs to be robust enough to at least satisfy the cereal requirement of households. The money thus saved can be used to increase the intake of vegetables, fruits, eggs and meat products. Vandana Prasad, national convenor of Public Health Resource Network, a non-profit, quips, "The cost for a packet of Kurkure and an egg is the same, Rs 5." Unless health policymakers come up with long-term measures to improve the protein content in all our foods, we cannot hope for a healthy diet. The article was published in June 16-30,2017 issue of Down To Earth under the title "Protein fracture"